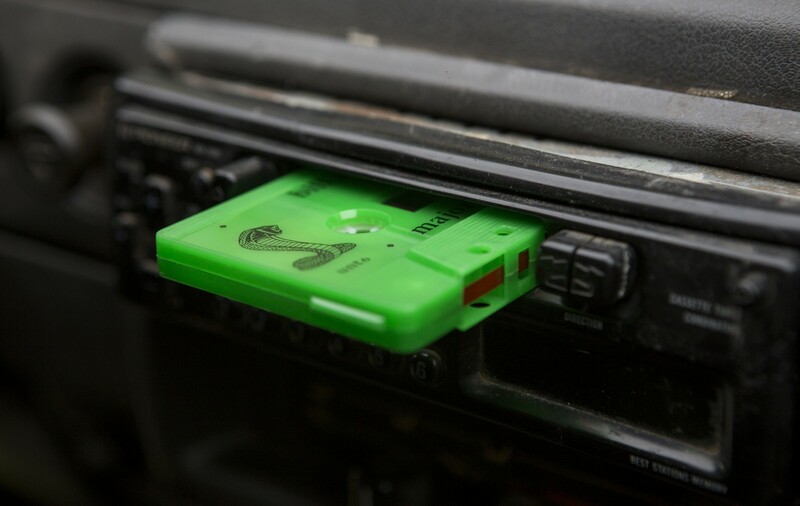 Edition of 100 solid green cassettes with black body print, housed in a 100% cotton fold out inlet, containing additional info and packaged in a clear case. contact mics, various guitar pedals. Recorded live & composed by Efthimis Theodossis. Artwork by Giorgos Axiotis & G.Vik at Bend. Bill Anagnos is the fast-driving stunt moniker of Efthimis Theodossis, an instrument builder, an analogue synth collector, a locked groove maniacand 1/2 of the free improv dub duo Free Piece of Tape. Years of hard lovin’ in the paths of free improv, slowly led to a more rhythmical and extrovert attitude towards composition. Trying to balancebetween previous versions of pre-recorded tracks and their dubbed shadows, a decision was upheld, to dress up with style and grit – something only a stuntman by day / free roaming driver by night could do – and score the open roads. As the title suggests “Major Arcana” is a set of 22 cards in tarot that “represent the life lessons, karmic influences and the big archetypal themes that are influencing life and the soul’s journey to true enlightenment”. Bill’s first proper solo release under this name is a collection of 7 tracks and 3 interludes recorded and produced between 2011 and 2013, that offer a rare glimpse of the core elements that consist this dirt track persona. “Major Arcana” is one of those releases where a conjuring takes place, creating a unique combination of cross-linking various genres. Dub, kosmische, vaporwave, drone, lo-fi, orchestral, world music, all these are present, re-arranged and blended together with the utmost skill. Utilizing surface noise, pulsating hiss, intentional errors, subconscious chance playing, a “selector” style free from a beat locked attitude, aand a compulsion for instrument building such as the semantron (σήμαντρο) that draws from Orthodox monks self-build summoning instrument tradition, Theodosis channels this kind of psyche directly through the black leather covered hands of Bill Anagnos and into the Major Arcana world. Demonstrating top-notch dub production skills and analogue synth wizardry Major Arcana is a rare vapour dub gem that roots firmly to a kosmischeuniverse. A universe weird enough to become almost monastic and finally sucked up again into its own haze. 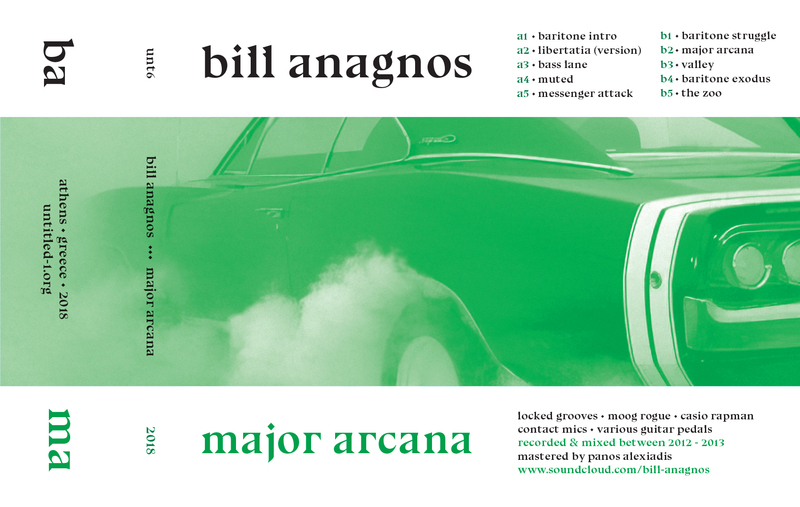 This is Bill Anagnos driving through Major Arcana ! Efthimis Theodossis is an active member of the contemporary Athenian underground music scene since 2001. He is a member of the experimental duo Free Piece of Tape and he has participated in various festivals such as Video Dance Festival (2006), Synch Festival (2007), MIR Festival (2008), Athens & Epidaurus Festival (2009), Vovousa Festival (2016) and Documenta14 (2017). From 2011 and on he started working on his solo alias, and in early 2015 he first performed under the Bill Anagnos name.